With a focus on Fun, Fitness and Friendship, our classes are designed so everyone can achieve no matter their fitness level, background or goals. Pole, Hoop, Silks, Dance, Strength, Flexibility, Boot camp, PT, Shows, Competitions and more. We offer a great range of classes in Pole, Hoop, Silks, Dance, Strength, Flexibility, Boot Camp, PT and More. Have you ever thought about trying pole/hoop/silks, but wasn’t sure. Well now you can try our free trail class. 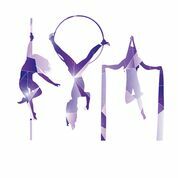 They run every term, to help you take your first step into pole/hoop/silks. Got questions? Check out our FAQs here.